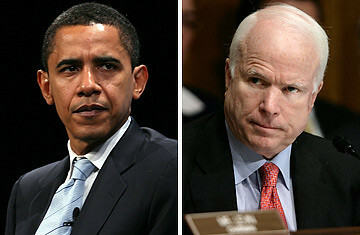 With tonight's highly anticipated debate just minutes away from starting - the first of 3 - the nation will eagerly dissect who looks and sounds more presidential: Senators Barack Obama or John McCain? Chances are, the answers will be less than groundbreaking, therefore, demeanor, likability, and eloquence may sway some of the estimated 18% of voters who are undecided. Be sure to check your email inbox for our Presidential Survey, that will help us fight for the causes that are important to you as local business owners. In the survey, we ask questions, including whether the proposed 700 billion dollar bailout will help you out. As the nation's largest online network of local business owners, we'll work hard to make sure your voice is heard, not only in your local communities, but also in the hallways of the nation's capital. P.S. You can also voice your concerns inside our MerchantCircle forums.